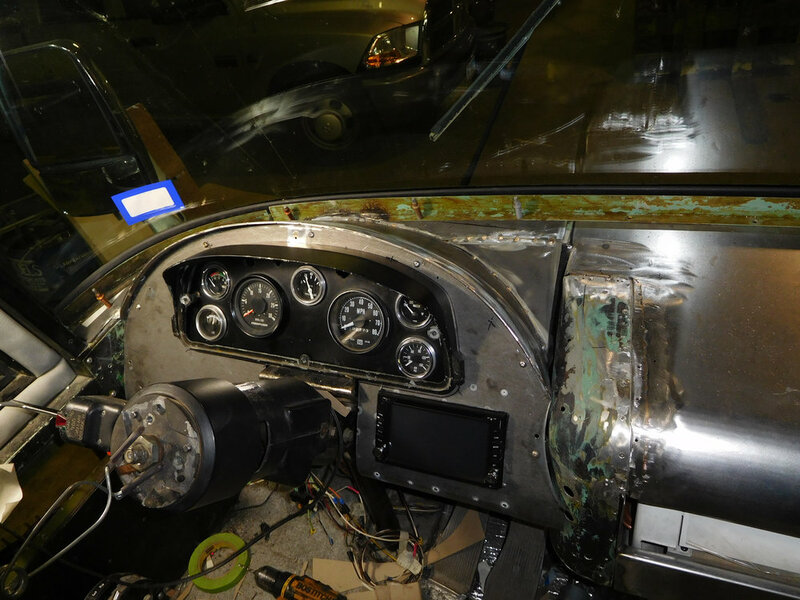 The Project was to install an air conditioner in the dash. 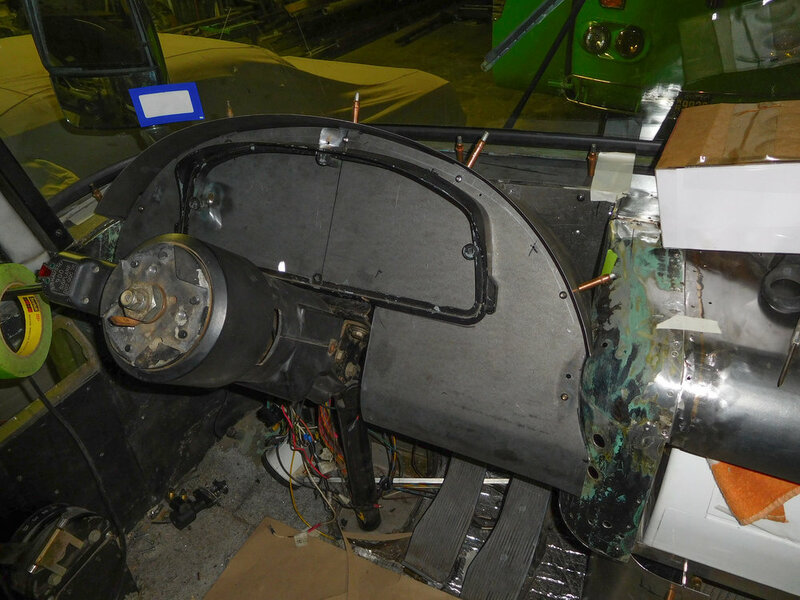 Existing dash structure, defrost air duct, and windshield wiper motor were modified to accept the size of the evaporator. So now we just need to build around it. 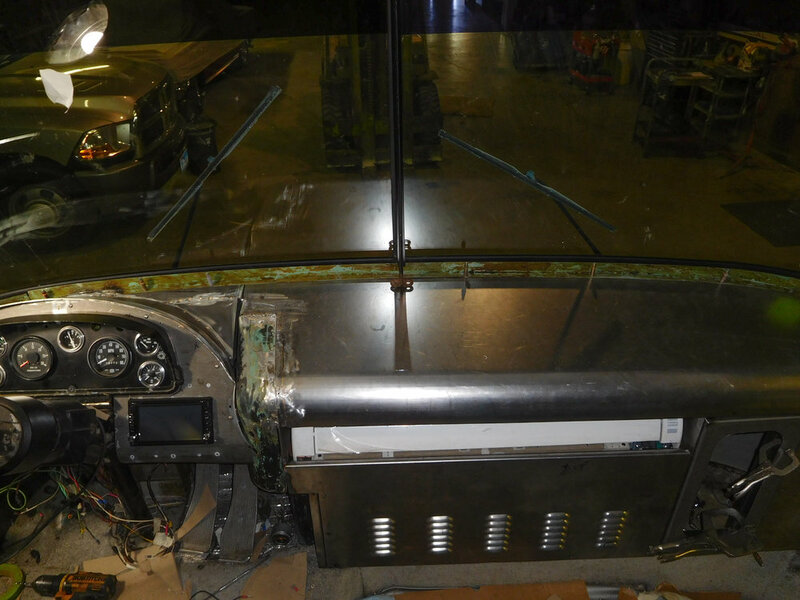 This is fabricating the exhaust air duct and installation of compressor in bus bay. 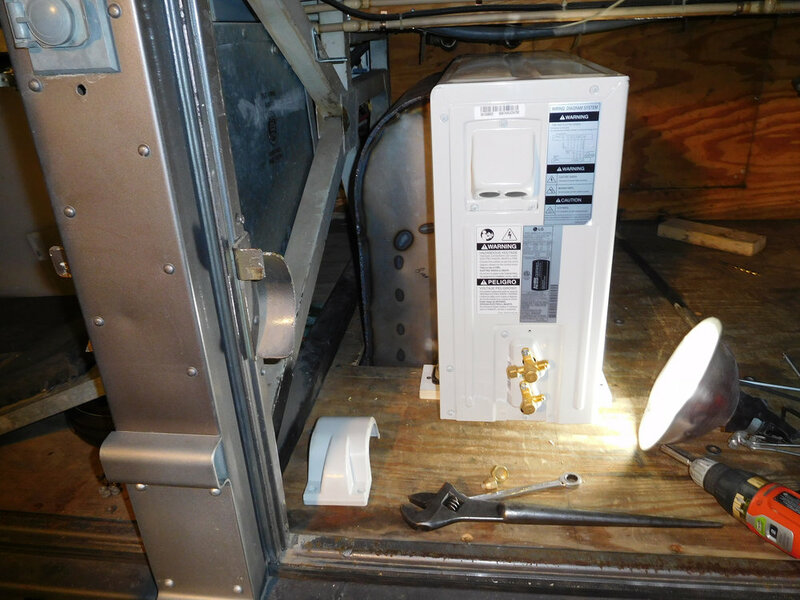 Designing and building a new dash around air conditioning unit. 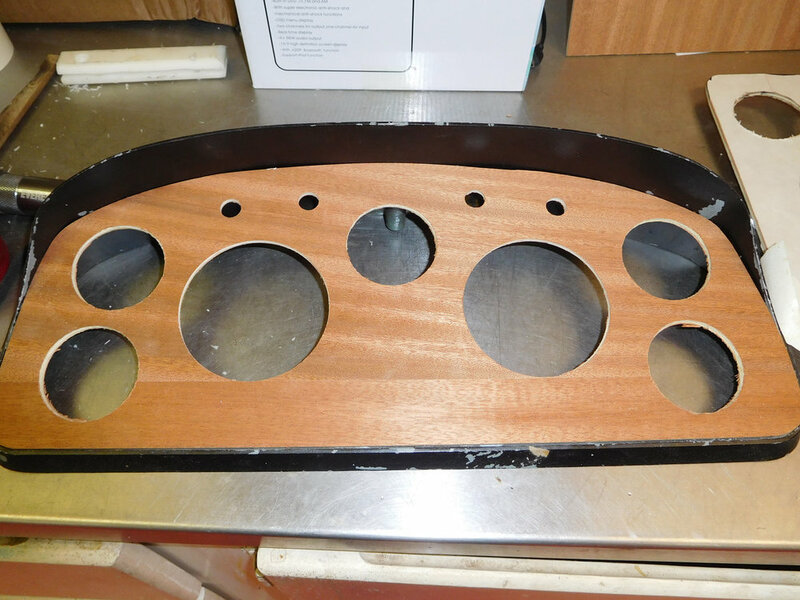 Creating a dash panel for the gauges out of 16 gauge. 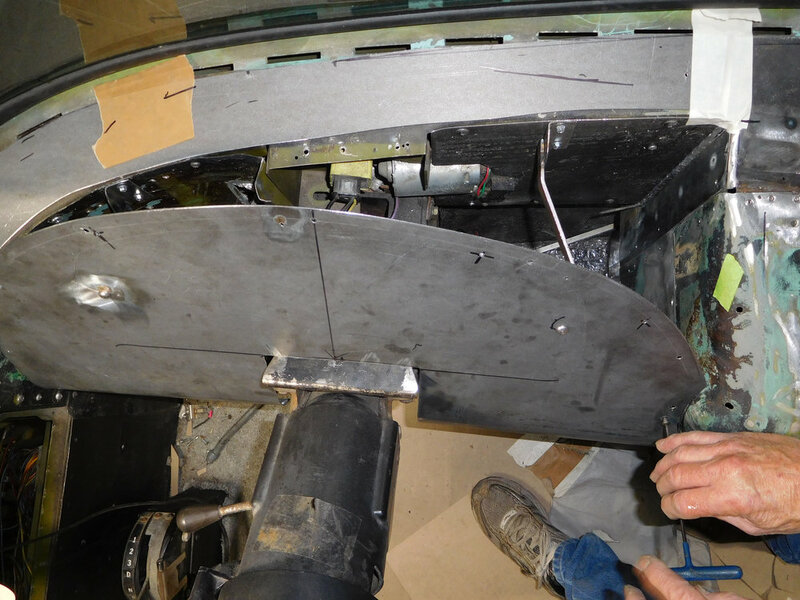 Installing the gauge pod with mahogany insert using the original gauges. Fabrication complete. Ready for paint and upholstery. 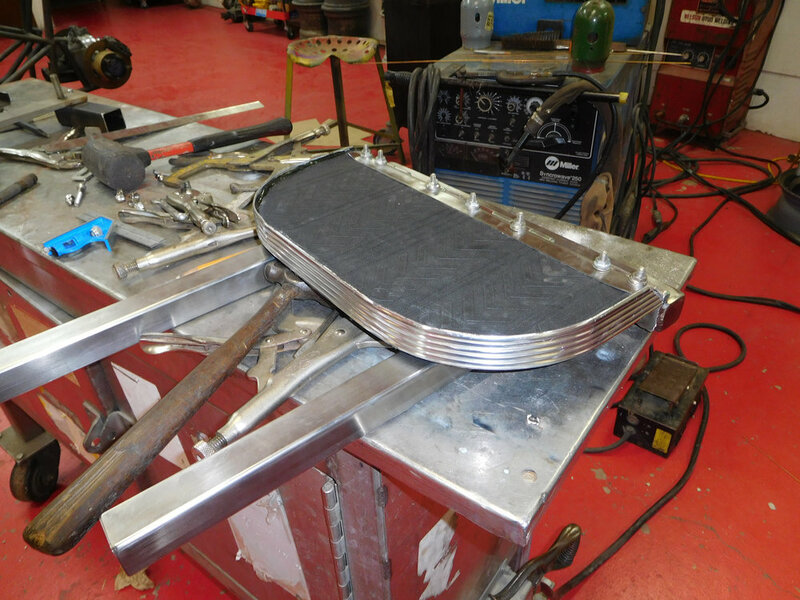 A stainless sliding foot rest for the co-pilot that can be hidden under the seat and extended for comfort. The A/C is in the slot. A fire extinguisher and access door was added.